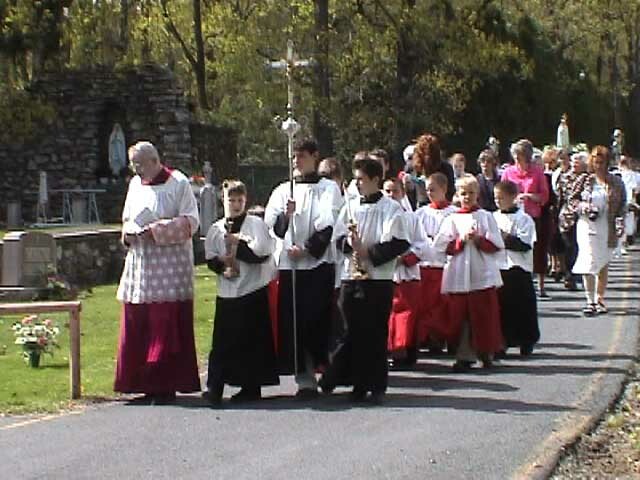 Our community was begun in 1995 at St. Roch Church in West Bangor, PA under pastor Msgr. Charles Moss. Parishioners approached him about offering the Traditional Latin Mass and permission was obtained for a monthly Mass from then-Bishop Thomas Welsh. By September of 1998, permission was received to have it weekly at 9:20am. 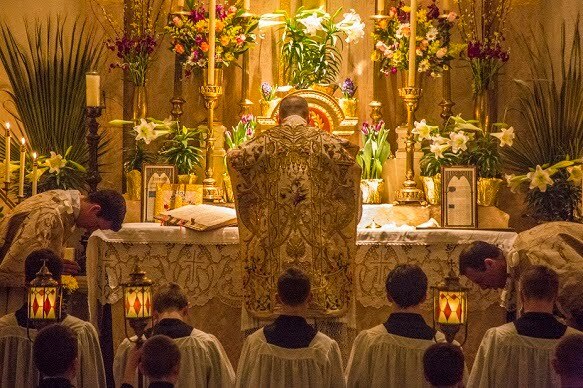 Monsignor had been expecting to pull in mostly an older crowd, and was surprised to find that "the great percentage of people who come to the traditional Latin Mass are young people with small children." Msgr. Moss leading the May procession. 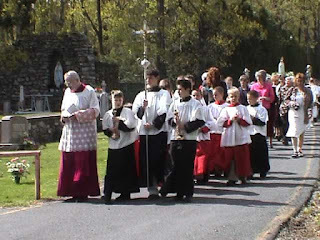 Every year on Mother's Day at 3pm, a procession in honor of the Blessed Virgin Mother was held. When Monsignor took over St. Roch's as pastor, the very fist thing he did was consecrate the parish to the Blessed Mother. Every year he renewed that consecration together with his parishioners on January 1st. That his parish kept growing every year he attributed to the intercession of our Lady. Every year on Mother's Day at 3pm, a procession in honor of the Blessed Virgin Mother was held. 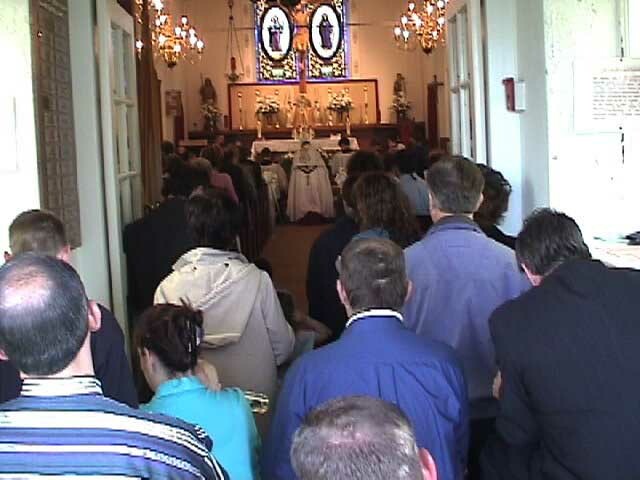 It started at the rectory while the Rosary was recited and ended at the parish church where our Lady was crowned by one of the 1st Communicants. 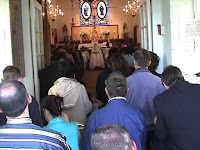 It started at the rectory while the Rosary was recited and ended at the parish church where our Lady was crowned by one of the 1st Communicants. After Monsignor's untimely death in 2006, then-Bishop Cullen decided to transfer the Traditional Latin Mass Community from St. Roch Church to St. Stephen of Hungary Church in Allentown, PA at 8am and give it to the care of Fr. William Seifert. In response to the requests of parishioners, the Mass time was moved to 10:15am where it remains. Father eventually added Traditional Latin Masses to the weekday schedule as well as on 1st Fridays and 1st Saturdays. In January 2016, Fr. Seifert went on sabbatical and the parish at St. Stephen of Hungary Church was placed under the administration of our diocesan cathedral church. 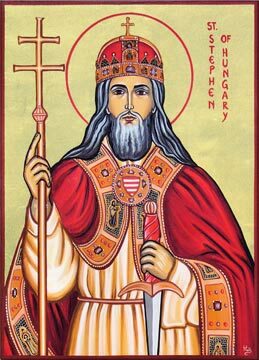 On the feast of Pentecost in 2016, it was announced that St. Stephen of Hungary Parish would be placed under the pastoral care of the Priestly Fraternity of St. Peter (FSSP). 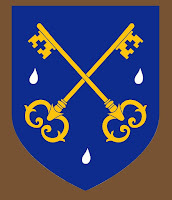 The Fraternity is an order of priests dedicated to offering the Traditional Latin Mass and all of the Sacraments according to the rites from 1962. This was and remains a great joy for our parish! As of July 1st 2016, Fr. Gregory Pendergraft, FSSP officially began his ministry as Pastor of St. Stephen of Hungary Parish. We wish to thank Bishop Barres, Fr. Gerard Saguto FSSP, and everyone else who has played a role making this possible. Please keep our parish in your prayers.